Okay. 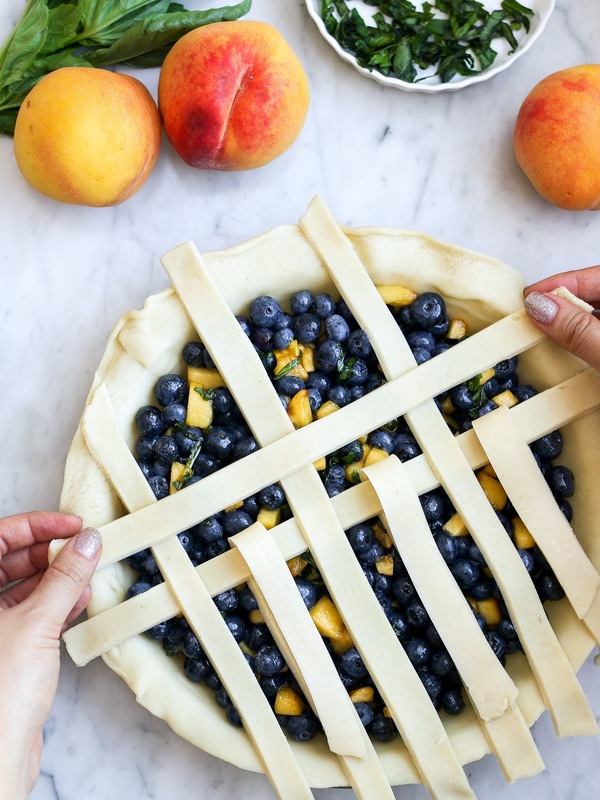 Maybe the title "summer pie" needs a little revising (edit: just revised it). 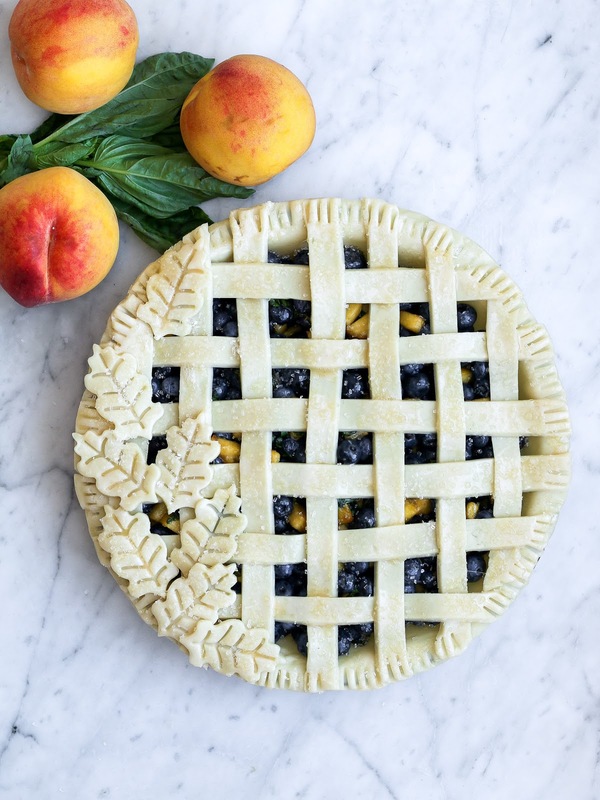 I made this pie during the peak of peach season and I think that season along with #summersixteen is winding down just a little bit by now...though I am in full denial about that. You know that terrible movie Spring Breakers where the main characters say "spring break 4evaaaaaaa"? 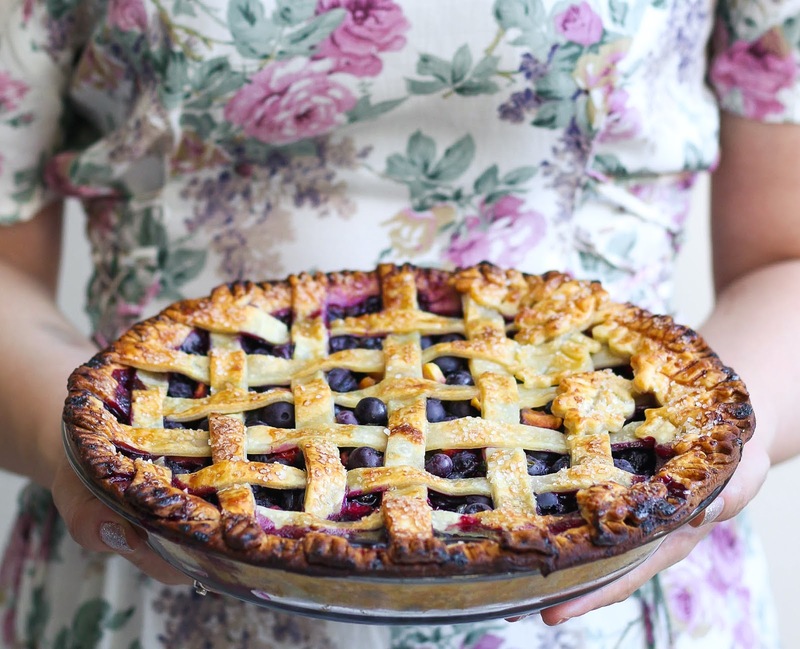 Well, I feel like summer should lasts "4evaaaaaaa" and I will make all the summer pies until...well, I can't. 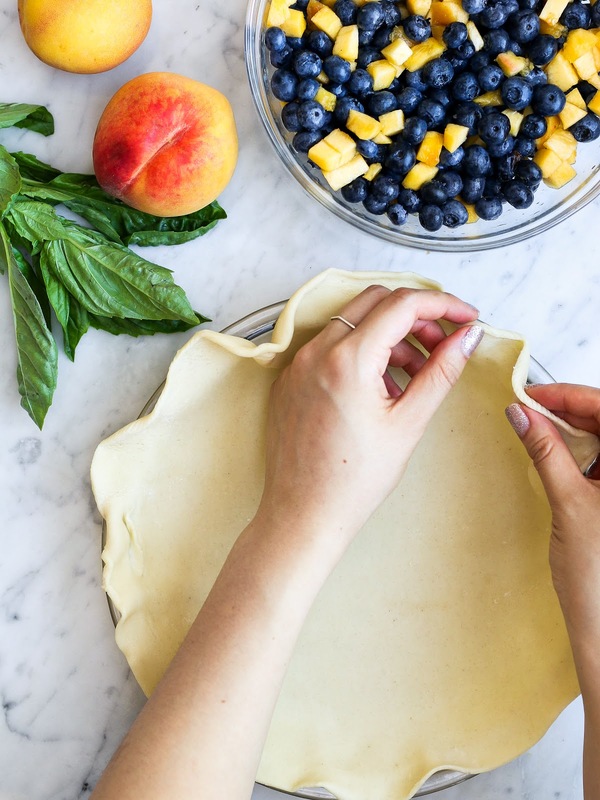 I love summer baking because there are so many fruits you can choose from. 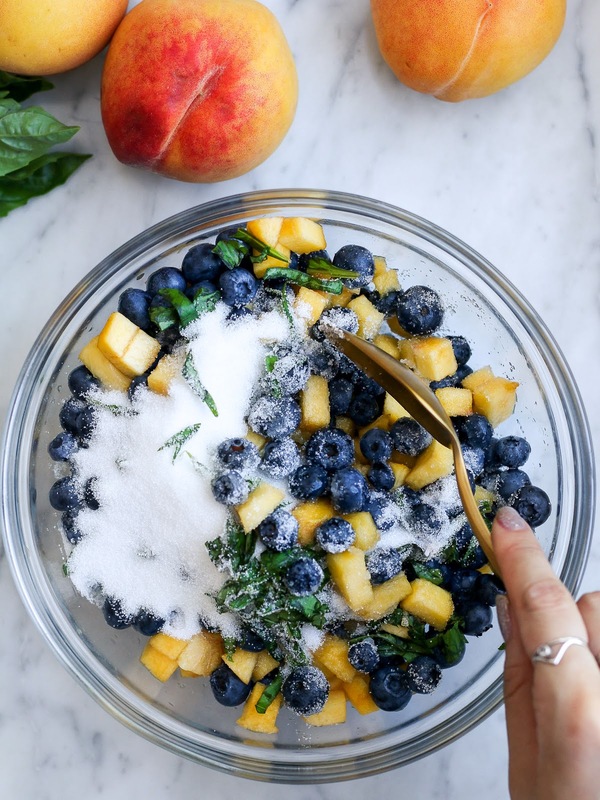 Peaches, berries, apricots, figs (!!). 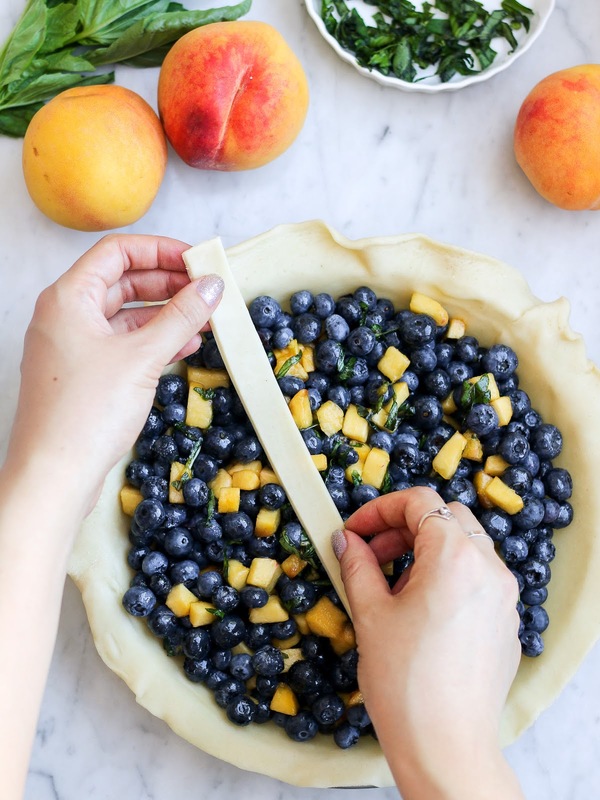 I try to cram in all my fruit baking in the summer because even if I have too many pies, no one will ever complain when receiving a peach pie out of the blue. 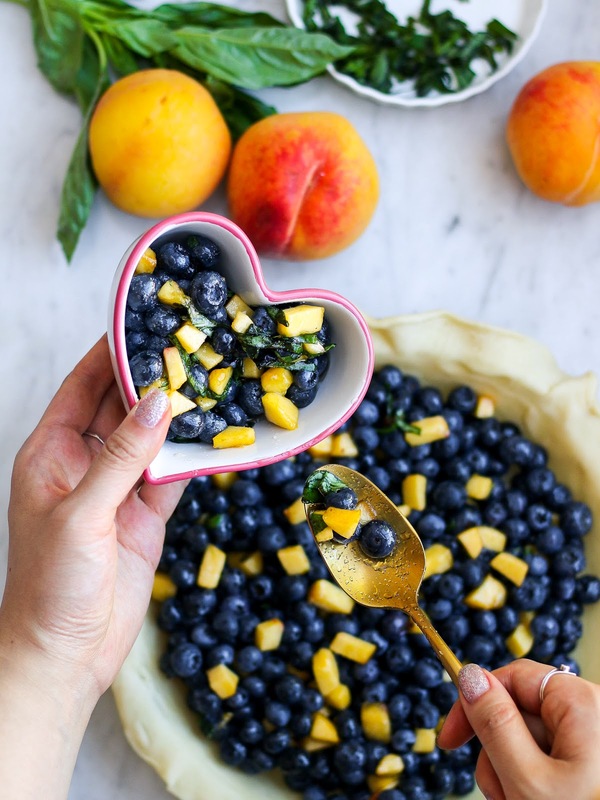 I do love my fall baking because I'm a sucker for squashes and apples, but the vibrant colours of summer fruits make my heart go pitter-patter a tad harder. 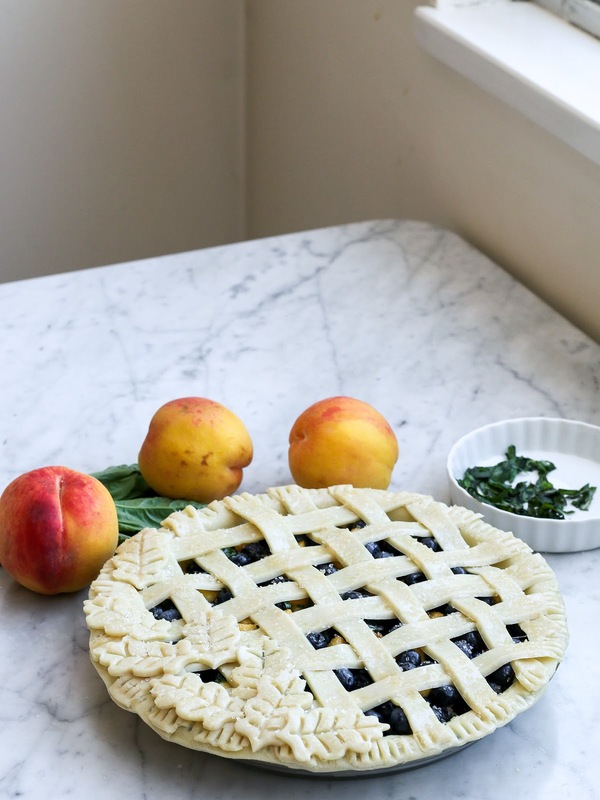 I always make some variation of peach pie in the summer. 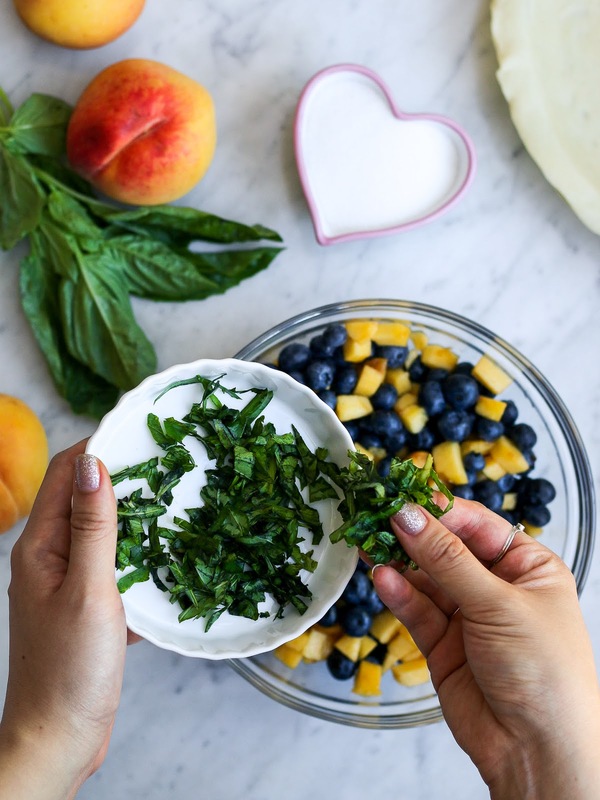 This time around I added blueberries and basil to the mix. 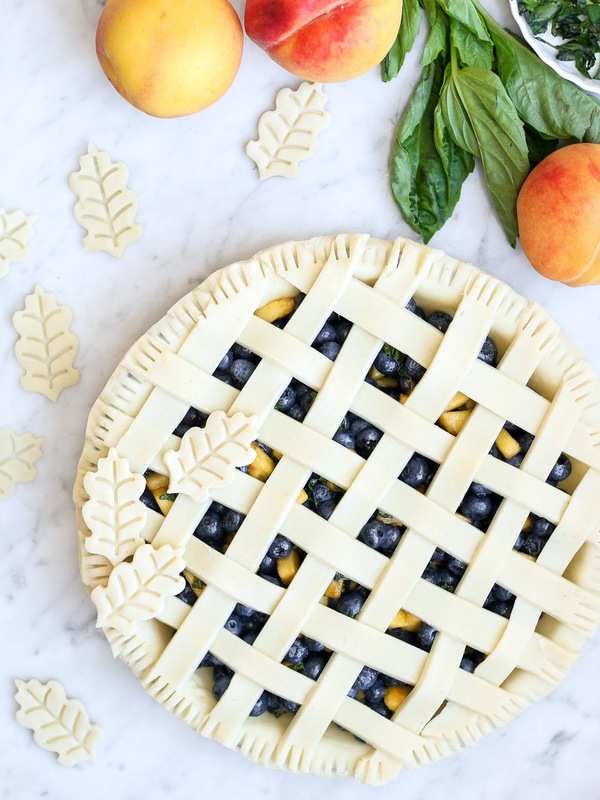 Peaches and blueberries are always a great combination and adding a basil gives it a little earthiness to the otherwise sweet pie. It's definitely no my first time making pie but it still intimidates me every time decide to do it. 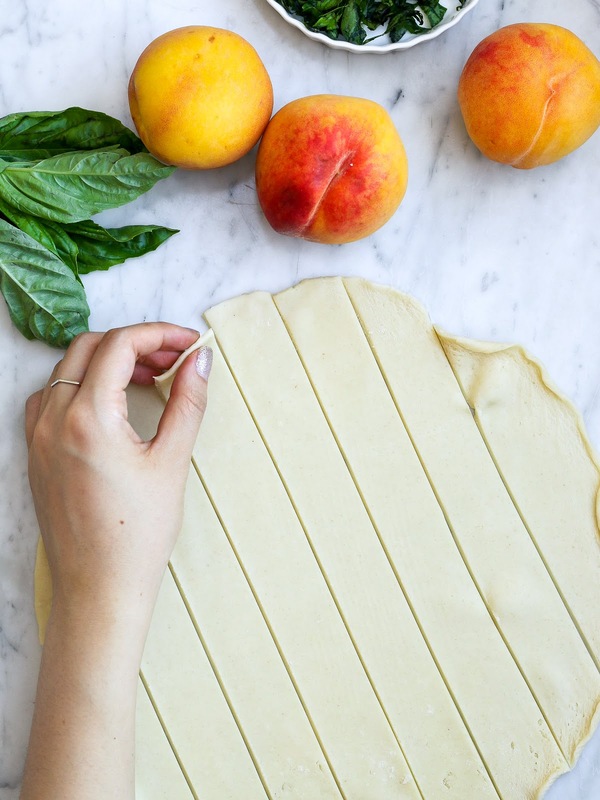 Making pie dough stresses me out a little. Making sure that the bottom crust isn't soggy stresses me out a lot. 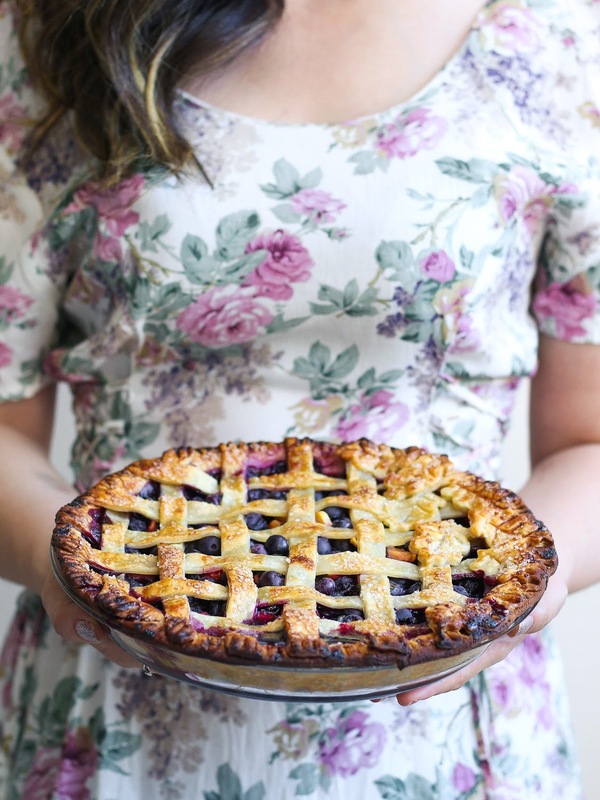 So why do I still make pie? I think making lattice tops is one of my favourite things to do. Does "braiding and criss-crossing butter-laden things" qualify as a hobby? Can I put that as a interest or extracurricular on my resume (not that I really have a passable resume)? 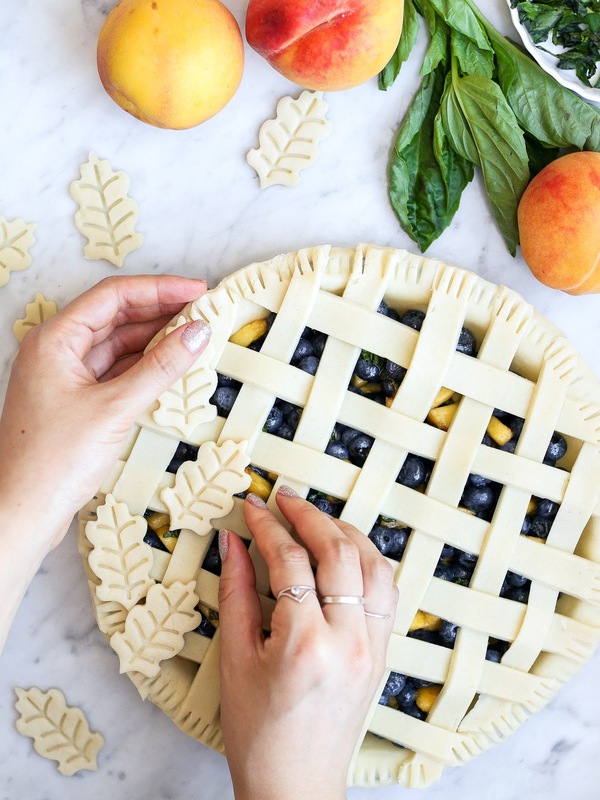 If making lattice tops (not the pie dough, though) can be a full-time career, how do I make that a reality for me? There must be pie factories out there where I can just inject myself into the factory line. 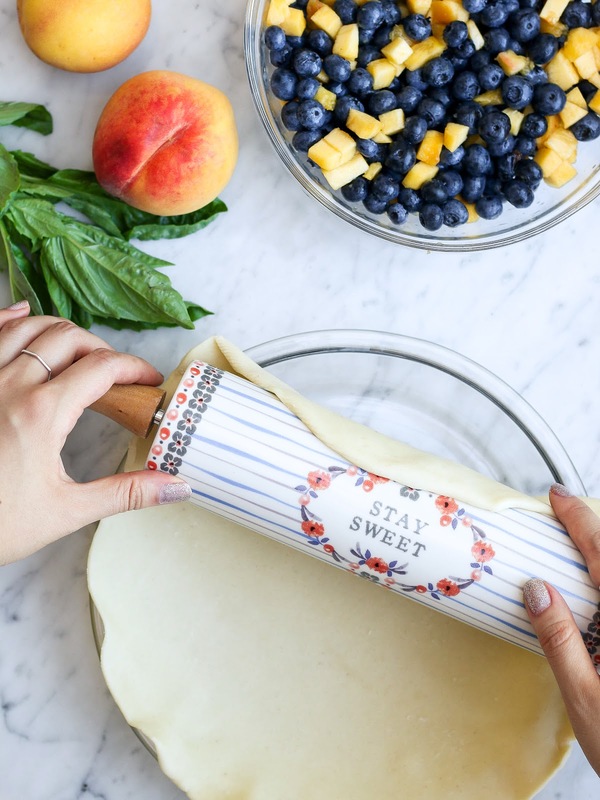 I'll just squeeze myself in between the pie dough roller-outer and the person in charge of brushing on the egg wash. I could be really happy doing that job. PS. 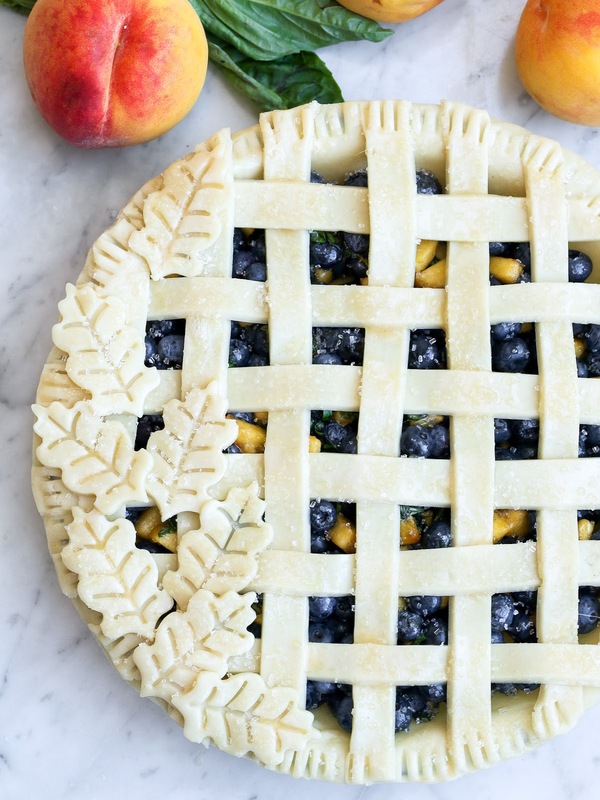 Thanks Country Living for saying my lattice top for this pie is "goals." Current status: eating humble pie and feeling humbled. 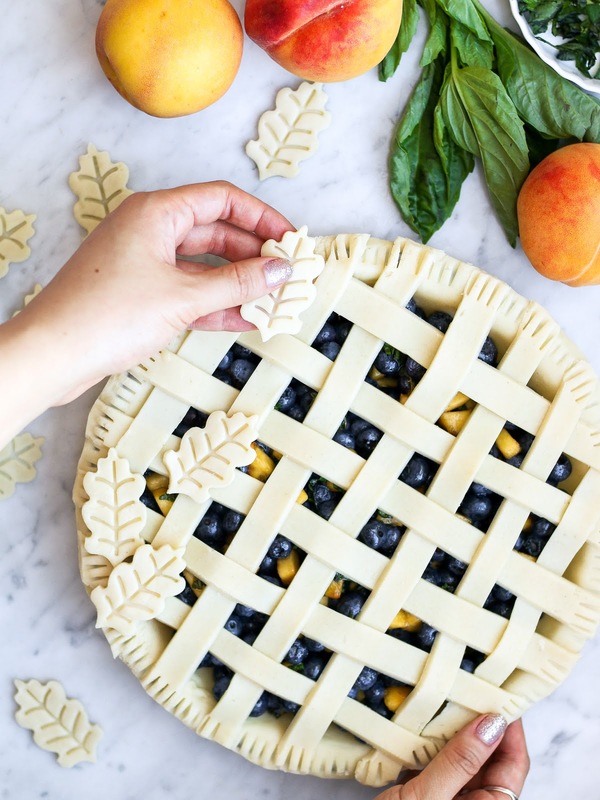 Can I make the lattice tops for future humble pies? In a large bowl combine all the pie filling ingredients, except for the butter. Let the filling rest for 10 minutes. 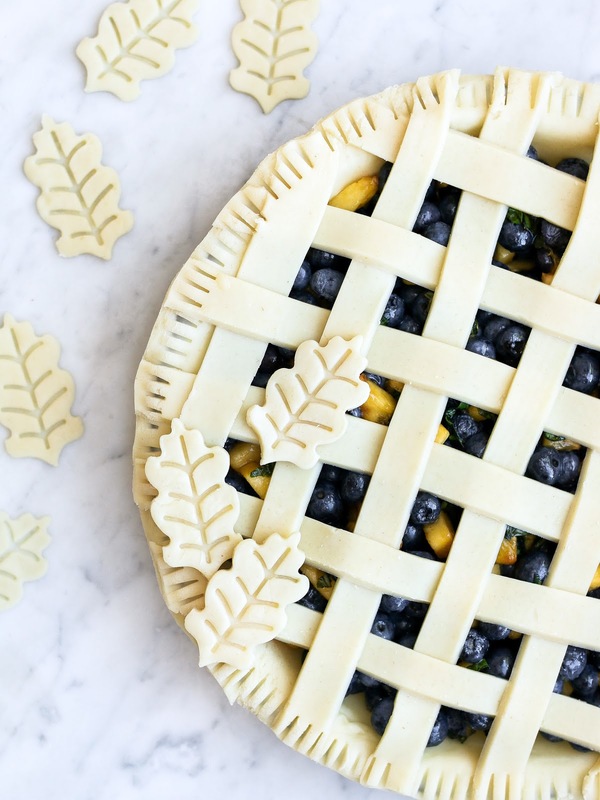 Spoon the filling into pie crust, leaving any liquid behind. 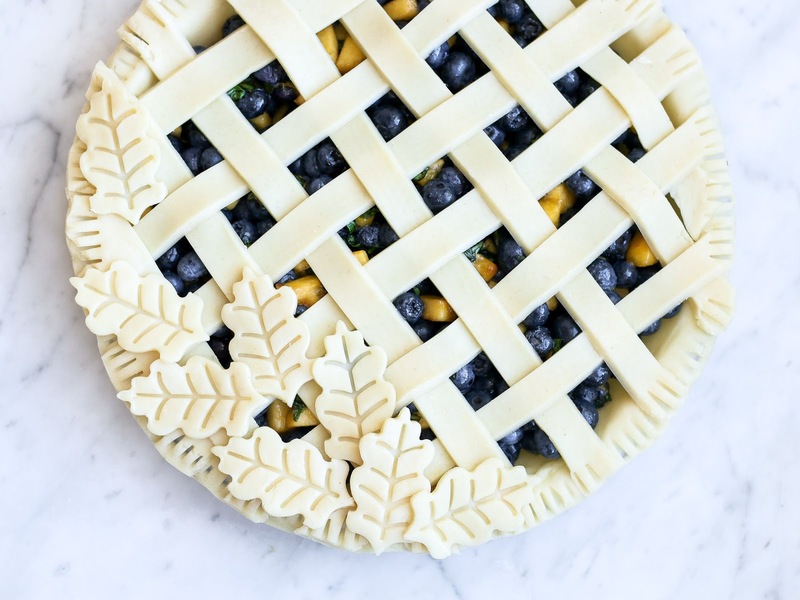 Add little pieces of the butter on top of the filling before arranging the top crust. 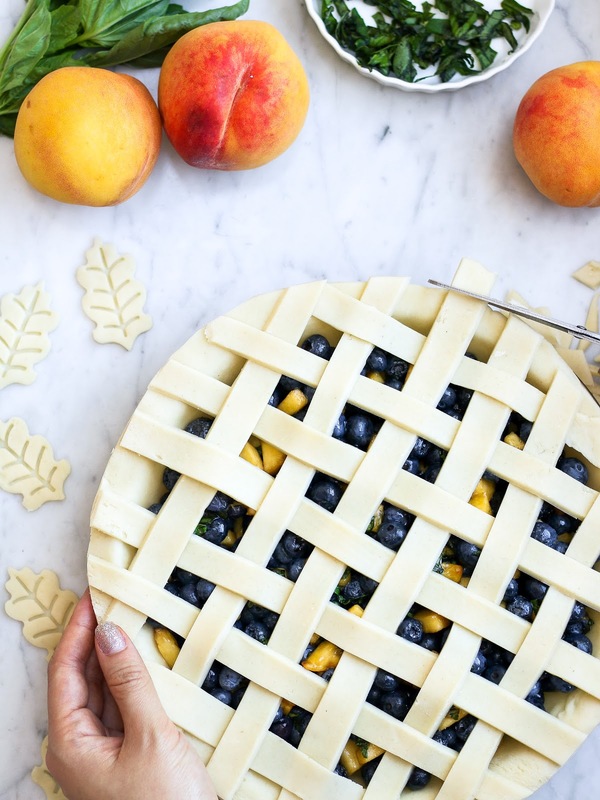 Once ready, let pie set for at least 2 to 3 hours before cutting into it. 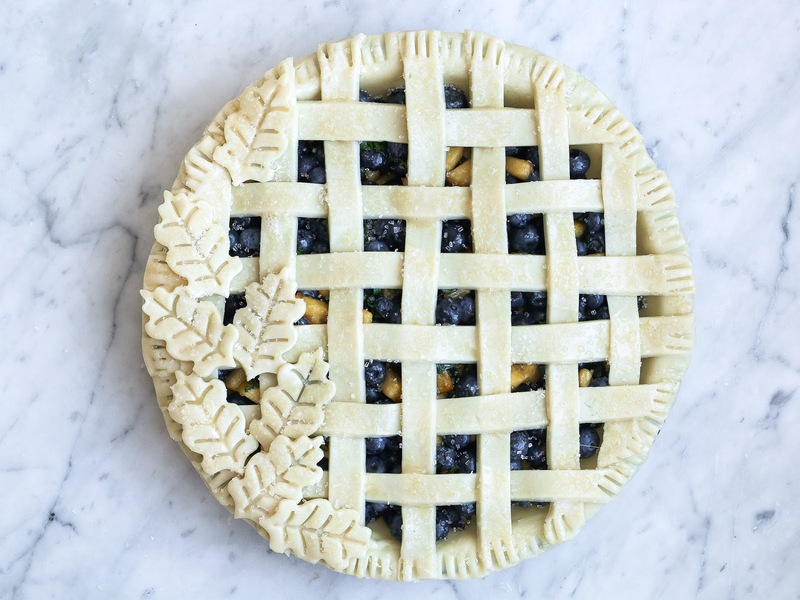 What a fantastic pie and such stunning photos as always! 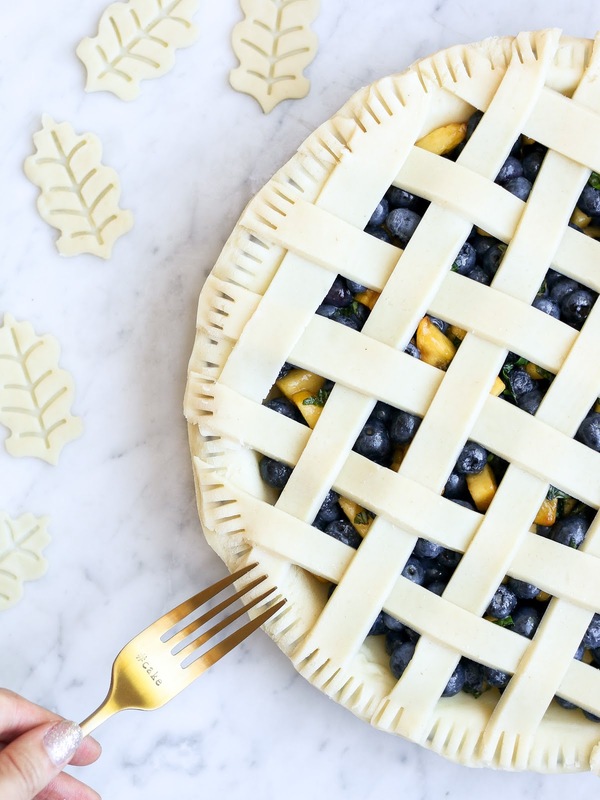 These pie look delicious. I like it very well.Glad you share these information.This looks amazing. 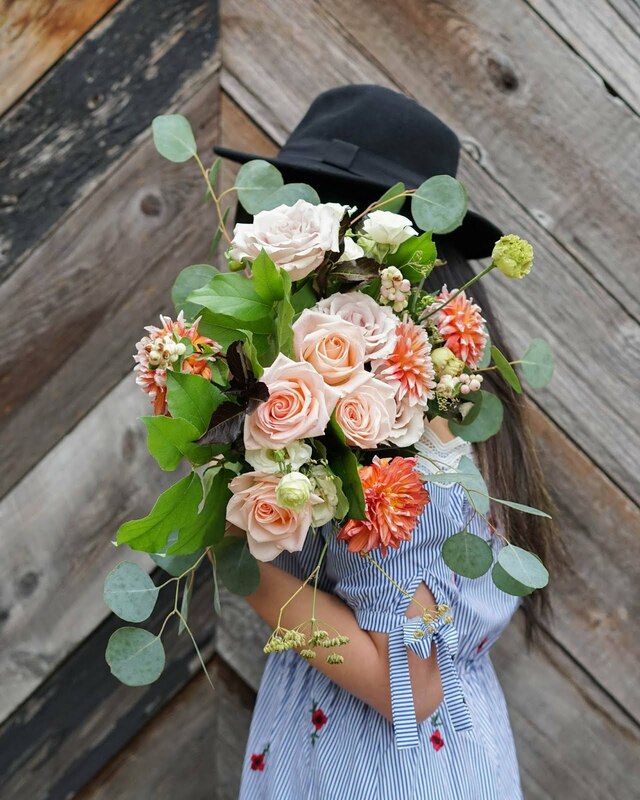 I am absolutely LOVE that you wrote Thanks for this details work and love it a lot.All we know that there are a lot of writing services available and they were very helpful services and you will get better result by taking assistance from those writing services.Custom essay writing services,custom essays are some of the examples that you can choose for your use. 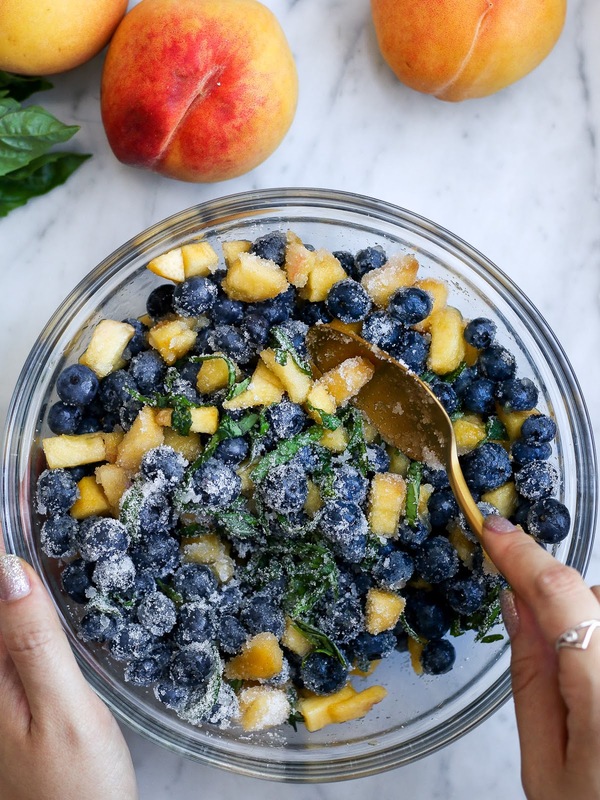 Blueberries are lasting blossoming plants with indigo-shaded berries from the segment Cyanococcus inside the class Vaccinium. 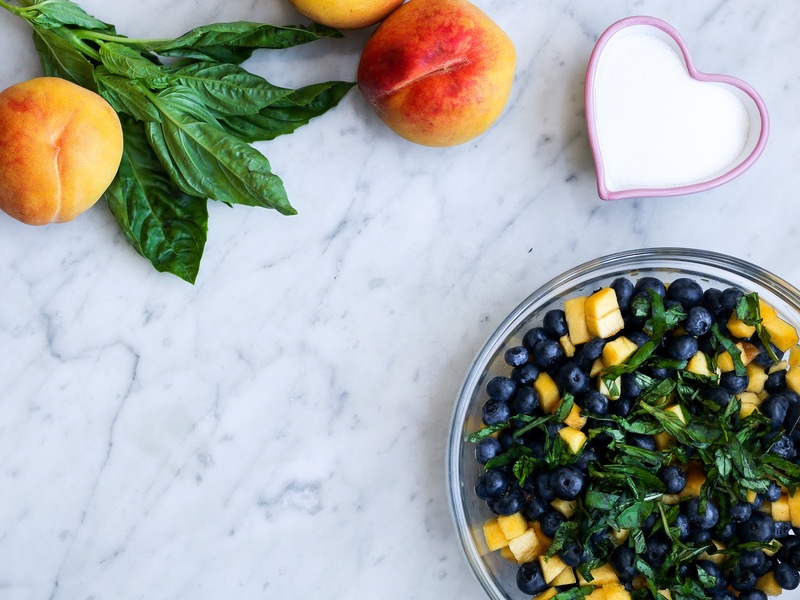 essay leaks Species in the segment Cyanococcus are the most widely recognized natural products sold as "blueberries" and are local to North America. 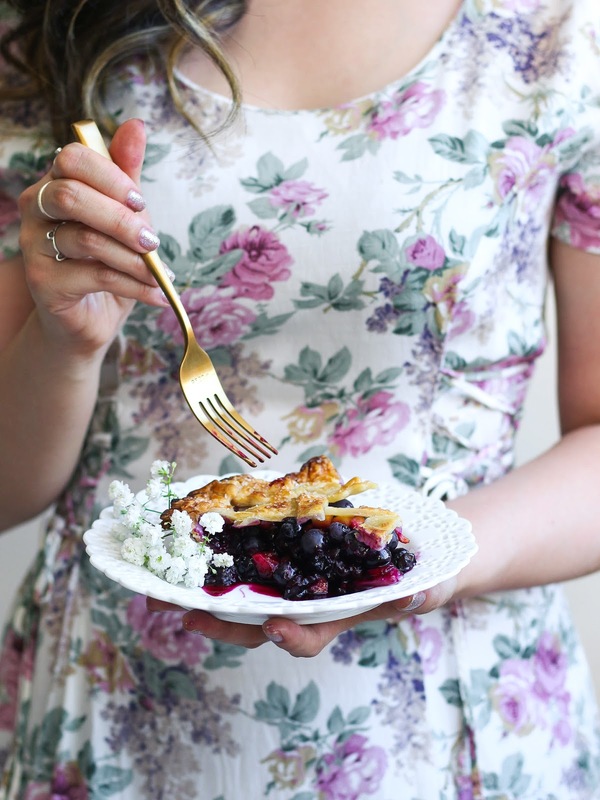 Berry cakes are my favorite dishes ever. They always remind me about my childhood, about the countryside, and warm summer days. I can already feel the smell of this cake, when you come home in the evening. You can already feel the cool in the air and grandma bring in the cake and serves tea. And you drink it, reading the new review of Bestessays.com and enjoying the cake.